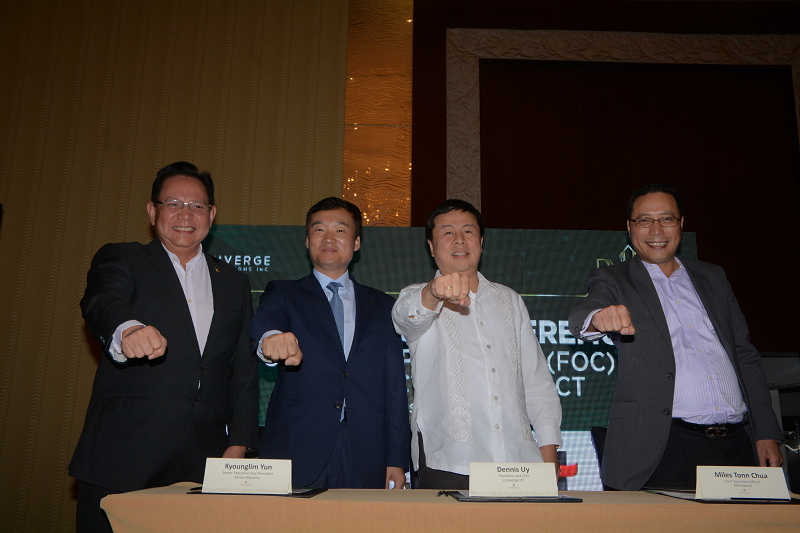 Converge ICT to spend USD 1.8 billion to boost fiber internet nationwide! Home / converge / internet / news / Converge ICT to spend USD 1.8 billion to boost fiber internet nationwide! Converge ICT Solutions Inc. has earmarked about USD 1.8 billion to expand its fiber internet business in the next five years. Converge to bolster fiber business with new partners and huge investment! The telco firm would be investing heavily to boost its connectivity not just in Luzon but also across Visayas and Mindanao. Dennis Uy, the company's president and chief executive officer, said Converge sees opportunities to realize growth in the industry amid "low penetration" coupled with poor quality service that is currently being offered by Globe Telecom and PLDT. The investment would be used for the massive network rollout with hopes to cover more than 13 million out of 22 million households in the country. Converge has also unveiled its partnership with foreign firms, like Korea Telecoms, LSI-Fibernet Konstruk Corporation, and TE Connectivity Subcom. Miles Tonn Chua, chief operating officer of MetroWorks ICT Construction, Inc., a unit of Converge ICT, said the project is a 5-year plan, and the network backbones are targeted to be completed by 2021 but would be operational through different phases to enable the project to become complete prior to 2021. He also vowed that with Converge's aggressive infrastructure rollout, Filipinos can expect the "best internet service" in the next year or two.